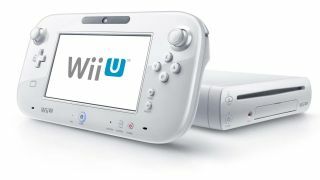 Nintendo President and CEO Satoru Iwata says the Wii U console's signature touchscreen controller was almost ditched during the planning stages. The boss says Nintendo seriously considered whether the creating 6-inch, second screen would eventually make the console too expensive for customers. "Sometime during that final discussion we almost gave up on the idea of the additional screen," Iwata told the Telegraph. "This was due to our concern over the expected high cost, it may not have been feasible to create this and sell it at a reasonable price point for the consumers." After the decision was made to go with the innovation, the uses of which are yet to be fully embraced by the gaming public, Iwata says all the company's focus went into accentuating its potential advantages. He added: "From that we discussed how we could use that additional screen. "Like asymmetric gameplay and using it as a touchscreen device to change how people interact with a TV set. The touchscreen is just one foot away from you, so you can read small letters easier and input letters more easily. "And then you have the big TV screen ten feet away, which has its own advantages, in that it can be viewed by many people simultaneously." Iwata, like many within in Nintendo already have that, said the E3 press event did little to clarify the reasons why gamers should be excited about the Wii U. Again, echoing the comments of his colleagues, he says the key will be to get the controller into the hands of potential buyers before it goes on sale prior to Christmas. "On the stage we couldn't fully explain what's so unique about our product," he says. "It's only after people come to our booth (at E3) and have the hands-on experience with the Wii U they started to realise that it is a surprise. The excitement is very high every day, and I'm really happy to see smiling faces at our booth."